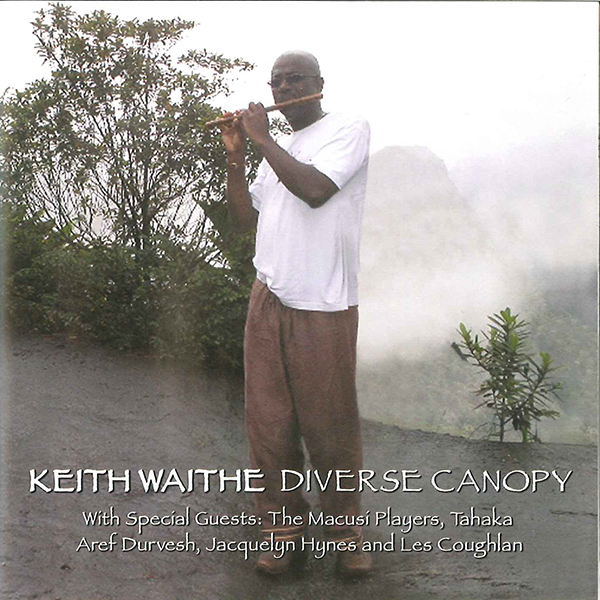 Launched at the 2005 Ealing Jazz festival to rave reviews, Diverse Canopy is a reflection of Keith’s personal journey through the rainforests of Guyana to the majestic Kaieteur falls. His experience of the colours of the rainforest canopy, intense shades of green, rivers and waterfalls, inspired the composition of this latest musical venture. Keith, his band The Macusi Players and special guests bring together a range of genres including a move into new waters with the inclusion of British hip-hop style. This is Keith’s first collaboration with his son Mark, aka rapper Tahaka, who features on two of the CD’s tracks. Diverse Canopy as a whole represents the creativity of the artists involved, all emerging talents in the contemporary British music scene working in genres ranging from jazz, salsa, reggae and rock to Irish, Asian meditation mood and hip-hop. Throughout, the flute operates as a focus unifying the various styles and infusing each track with Keith’s pervasive energy. Sitira Gal – a traditional Guyanese folk song drawing on other African Caribbean rhythms and effects. Reflections – a spiritual journey voiced by the flute, tabla and harmonium. The Wind That Cries Mary – an acknowledgment of the significant contribution to music of Jimi Hendrix, through which the band combines rock style with Caribbean rhythm. The CD is available to order in the UK and USA.